Bring plenty of snacks to coax your kids during the hike to Mt. Daimonji-yama. Leave the stroller behind. 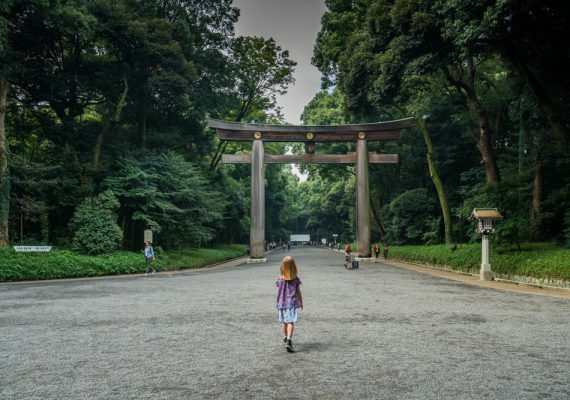 Strollers are not permitted in Ginkaku-ji Temple, though you can park them at the entrance. The Philosopher's Path is also more enjoyable without a stroller. The morning of this Kyoto day trip will be a busy one with a lot of walking, but well worth the journey. The hike up to the summit of Mt. Daimonji-yama is beautiful and its views of Kyoto’s cityscape are stunning. 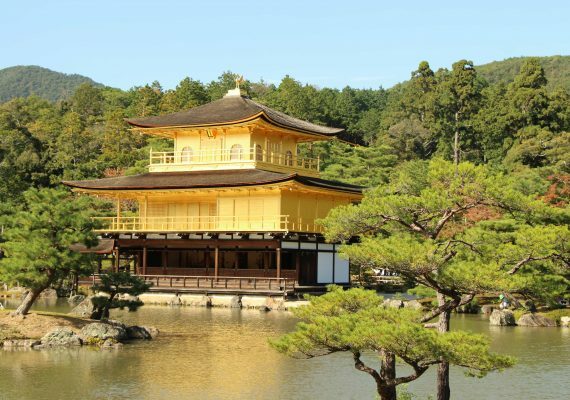 Pair this hike with a zen-filled visit to the Ginkaku-ji Temple (The Silver Pavilion) and a serene walk on The Philosopher's Path. Don’t forget to stop for some matcha (green tea) ice cream at a local ice cream shop. This tasty treat is the perfect solution to keep your kids going during your walk. Make this a morning of adventure or spread it to a full day of exploration! 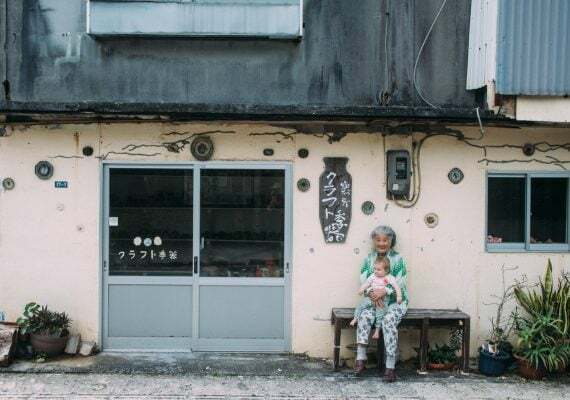 All these activities are within close walking distance to one another and can be short visits during your Japan vacation. Mt. Daimonji-yama provides sweeping views of the city. The fun hike up to its summit is 2.5 miles (4 km) long and takes you through a lovely forest. The trail is a combination of pavement and natural pathways, plus some wooden steps. It can be steep in some spots, but our 3-year-old hiked nearly the entire way up. However, you may need to carry your child during the portions of the hike that are steep. Fun fact. Mt. Daimonji-yama is one of the hillsides where a giant bonfire is lit every August to celebrate the Obon Festival (Festival of the Ancestors). The fire can be seen throughout Kyoto. DIRECTIONS Take a bus from Kyoto Station (numbers 5, 17 or 100) to Ginkaku-ji Temple. While facing the front of Ginkaku-ji Temple (The Silver Pavilion), go left and follow the road to the trailhead. You will find the trail to Mt. Daimonji-yama behind Ginkaku-ji Temple. 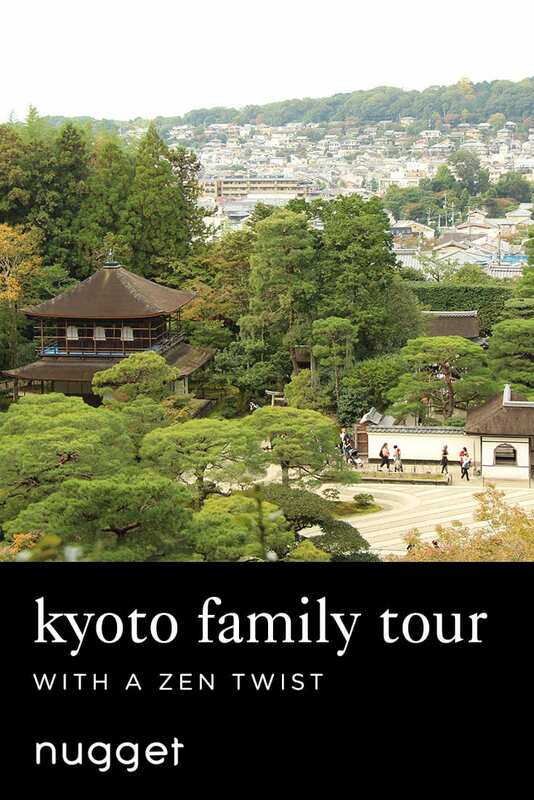 TIP Try to start this Kyoto day trip during the cooler, morning hours. If you have an infant or toddler, bring a carrier to carry your child through the steep portions of the trail. Be prepared for Ginkaku-ji Temple (The Silver Pavilion) to be busy at all times of the day. When we arrived at the temple, there were many school groups waiting to enter, so we opted to do a hike up Mt. Daimonji-yama first. This didn't make a difference, as more groups continued to arrive throughout the morning. Despite the crowds it attracts, Ginkaku-ji Temple still had a very zen feel. We enjoyed the perfectly sculpted cone of sand that is meant to symbolize Mt. Fuji and the temple’s garden was amongst the most beautiful we saw in Kyoto. To see the temple grounds, you follow a circular path. It took us about 30 minutes to complete. DIRECTIONS From the summit of Mt. Daimonji-yama, follow the trail to hike down the mountain and back to Ginkaku-ji Temple. TIP If you bring your stroller to Ginkaku-ji Temple, make sure to have an alternate way to carry your baby or toddler, as you will need to park your stroller at the entrance (strollers are prohibited inside the temple). Before heading to The Philosopher’s Path, stop for ice cream to give the kids a treat while they walk along The Philosopher’s Path. You’ll find many shops selling matcha (green tea) ice cream on the street between Ginkaku-ji Temple (The Silver Pavilion) and The Philosopher's Path. 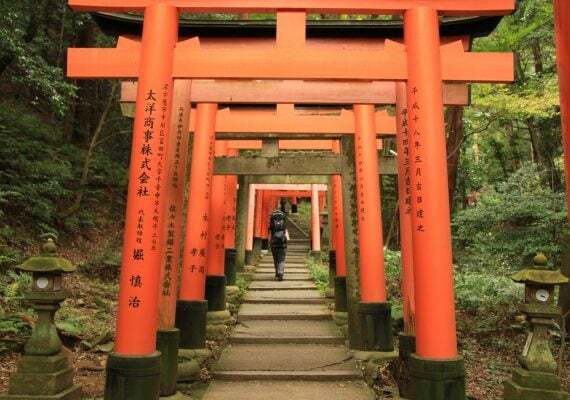 The Philosopher's Path is one of the most serene walks we have ever taken, and is a must-do during your Kyoto family vacation. It is a 2-km (1.2-miles) flat, stone path lined with cherry blossom trees and follows a canal. The path was named after a famous Japanese philosopher who used this path to meditate during his daily commute. It is approximately a 40-minute walk the whole family can enjoy (and the perfect place to burn off that sugar high from the ice cream). DIRECTIONS From Ginkaku-ji Temple and after passing the shops, you can continue on the stone path along the canal. This path is known as The Philosopher's Path. TIP You could technically bring a stroller for this walk, but it wouldn't be much fun to push on the path’s stepping stones. Alternatively, you can walk along an adjacent road, but it wouldn't have nearly the same effect as walking the actual path. Bring a carrier, just in case, but encourage your kids to take this short, easy walk with you.